Bret Achtenhagen of Seasonal Services in Waukesha County, Wisconsin, says he’s been using landscape estimating software for so long now that it’s “unthinkable” to ever consider going back to the “old way of doing things.” But the company president says he can certainly remember some of the challenges and the pain points suffered over a decade ago when his company had not yet adopted the software. While Achtenhagen says there are a number of areas where landscape estimating software has helped his business, improved efficiency, and increased profits remain two that stand out. 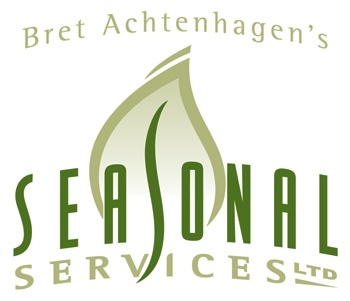 Prior to using landscape estimating software, Achtenhagen says that Seasonal Services, which employs approximately 90 people, struggled with consistency. It wasn’t uncommon for proposals to have a tremendous amount of variation not only in their look but even in their content. Now, utilizing a proposal manager tool, Achtenhagen says it’s led to consistency across the board. All salespeople are now utilizing the same templates that are already set up with the job’s necessary materials and pricing. That means that jobs are now quoted consistently. The look of the proposal is highly professional and also consistent from one job to the next. In addition to the consistency offered by using landscape estimating software, Achtenhagen says it also allows them to track a job and it’s possible revisions. This has proven particularly helpful on large installations where the scope of the project can change. The proposal tool gives the company the ability to revise proposals along the way and keep track of what was changed. Revision one, revision two, revision three—and so forth—is all available to view over time. This has proven very helpful in keeping everyone on the same page. Even though changes are always discussed, it’s not uncommon for clients to forget the specific details. And, Achtenhagen says that they might not even remember every change made along the way. But with landscape estimating software, Achtenhagen says the company has the chronological order of the job proposals and what changes were made to show clients. The ability to look back on past jobs has been helpful even after the job is completed, Achtenhagen says. The salespeople like the ability to look through the archive of proposals as they look to sell future work to existing clientele. Achtenhagen says it’s a helpful tool to propose desirable work. Achtenhagen says it’s also helpful that the sales team can then just re-purpose the former proposal, rather than starting from scratch in creating a new one. After making a few minor updates, it’s out the door. That equates directly to improved efficiency, Achtenhagen says. Being able to review past job histories also helps the company to track trends. Achtenhagen says they can see what “plants are trending” or what “services are hot.” That ultimately helps the company to make wise decisions about purchases and pitches. Achtenhagen says they’ll also use these estimates to make important company decisions such as whether overtime is justified. It also gives him a good sense of what the backlog is going to be like and allows the sales team to provide clients with more accurate time frames of when the job will be done. For instance, if irrigation and lighting sales seem to be underperforming, Achtenhagen says he can specifically ask the sales team to put more emphasis on those categories. And if the company develops a heavy backlog, then Achtenhagen can encourage the sales team to prepare clients for the proper wait times for service. Achtenhagen says this has helped his sales team to sell more confidently since they have a strong grip on their numbers and on accurate time lines. This keeps them happy and makes the client happy, too, making it an all-around win. For Seasonal Services, Asset has proven to be the best choice in green industry software. Achtenhagen says using this landscape estimating software has helped take the business to the next level and streamlined a lot of processes that were once inefficient and slow moving. Plus, the benefits in terms of predicting sales, improving communication with clients, producing consistent proposals, and even just keeping everyone on the same page have been invaluable. If you’d like to see how Asset can help improve your landscaping company, contact us for a free demo or give us a call at 800-475-0311 so we can answer any of your questions.